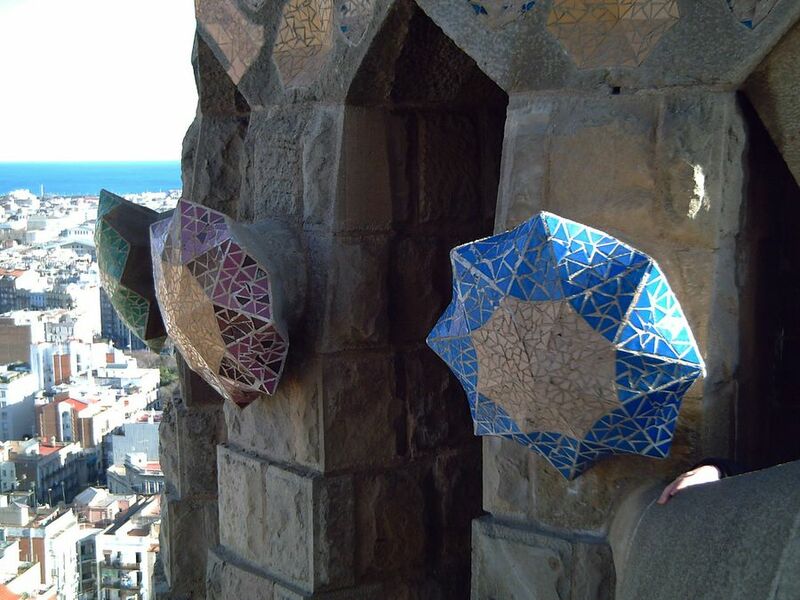 This is a wonderful view of one of the spires in the Sagrada Familia Cathedral. After taking a lift where you are charged two euros (better than climbing up the spiral staircase which is very narrow) you get to a small passage between the towers from where the city, the sea and the mountains can be seen in all its splendor. Small details of this unfinished masterpiece like this mosaic buttons stand right before you, making your camera hesitate between them or a good picture of the skyline. Thanks Andreea this is very reassuring.